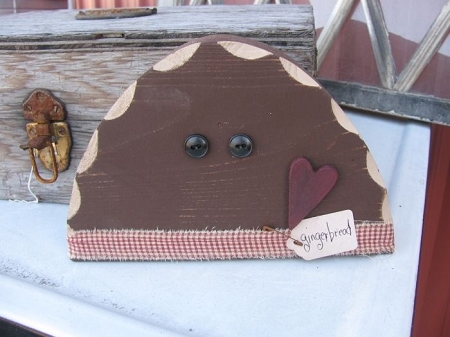 Primitive country chunky wood gingerbread head. Great shelf or windowsill accent piece. Perfect for year round gingerbread decor or for a seasonal accent. Vintage button eyes. Size is 8 1/2" x5 1/2". Hand Made, Painted and Designed by Tom.